Finally I've completed a Daring Baker's challenge! This challenge came from Pierre Herme and a cookbook written by Dorie Greenspan called Chocolate Desserts by Pierre Herme. 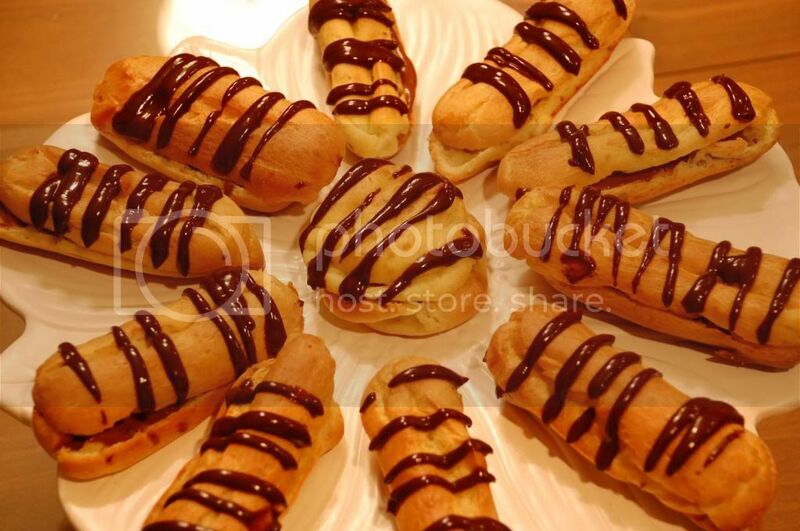 I made these eclairs last weekend and had the best time making them! The inside is filled with chocolate pastry cream and instead of dunking the entire tops in chocolate ganache, I chose to drizzle it, creating a nicer presentation. I made a few cream puffs with the leftover dough. I'm not so into puffed pastry sweets but these were really good. I had made a cream puff ring a while back to which this recipe was significantly similar to considering they both derived from Dorie Greenspan. I'm looking forward for the next Daring Baker's challenge for the month of September! 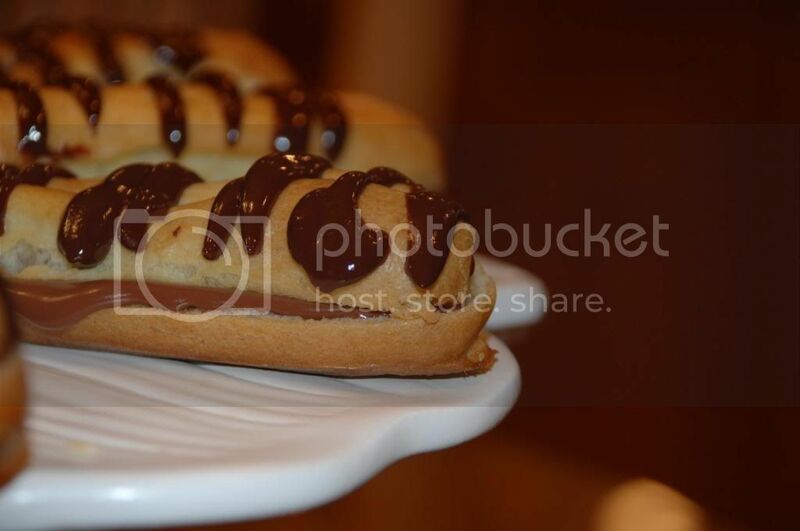 Check out the Daring Baker's blogroll for all the other fabulous eclairs! I am a HUGE college football fanatic and alumnus at the University of Miami. Football fanatic+ UMiami alum= lunatic fan! It is exactly 1 day until the UMiami football season kicks off and I wanted to start it off with a bang! 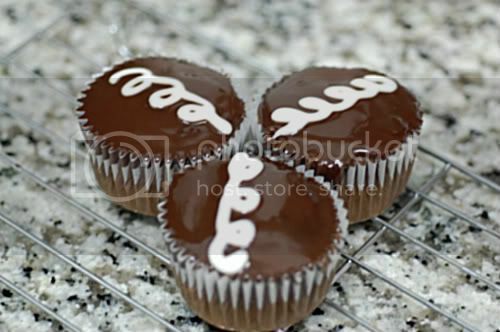 With that said, I had to bake something UMiami related, obviously . 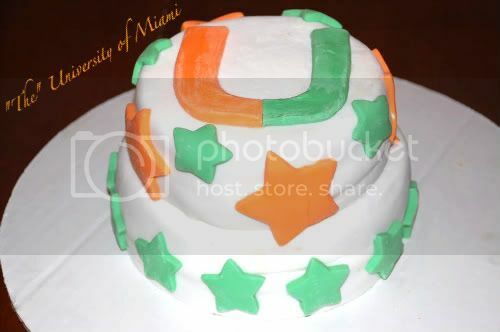 Since fondant has been my new flavor of the month (no pun intended) I envisioned making a fondant covered cake in University of Miami colors as well as the "U" logo. So that's exactly what I did after work yesterday. I am not particularly proud of this cake as I was semi-rushing to get it done so that I could go for a much needed run, however, real team spirit was put into it! Next up...a Super Bowl Champions NY Giants cake!! Woo hoo! 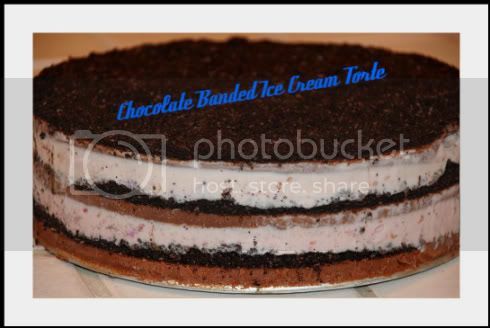 Amy of Food, Family, and Fun picked this week's TWD recipe: Chocolate banded ice cream torte. The no-bake aspect of this recipe really excited me considering I've been doing nothing but baking;, non-stop! This week I decided to stay true to the recipe, with only one exception; the addition of crushed Oreo's. 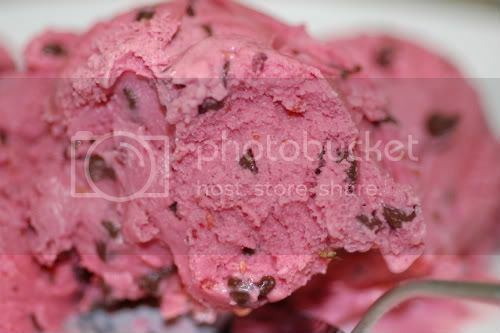 In my opinion, it is essential to add a crunch factor to any ice cream related dessert, such as chocolate chips, peanuts, sprinkles, etc. So, I did just that by layering Oreo crumbs atop each ganache layer. The torte consisted of raspberry ice cream, chocolate ganache, and crushed Oreo's resulting in a summery, chocolaty, berry-filled treat! The lack of oven/baking time in this recipe was surely made up with waiting time. Even though the recipe said to allow the ganache layer to set for 30 mins, I bumped it up to 45 mins and allocated 25 mins per ice cream layer. 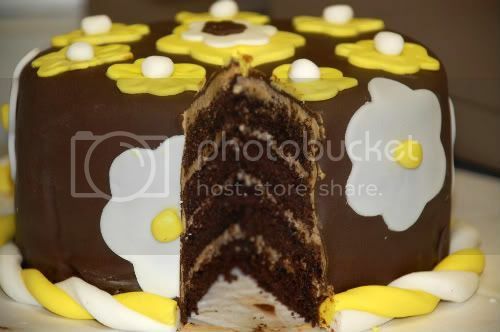 Next time I make this I will most definitely use a chocolate-based ice cream flavor without berries...think: chocolate cookie dough ice cream banded torte! Since my last fondant cake post, I've read a couple introductory novice fondant books. Above is proof of my latest creation! I almost feel embarrassed to have posted my first fondant cake being that the above is so much better! I couldn't sleep last night for the life of me so I baked the chocolate cake I made last week (found here) using 2-6inch round pans, then sliced each cake into two's leaving me with 4 layers. I iced the tops, sides, and in between the layers with a fantastic mocha buttercream recipe found here. This buttercream was very simple and didn't involve using hot coffee, only instant powder (I used espresso) dissolved in milk. Anything to make my life easier I jump on! I will most definitely be using this buttercream again. It had a wonderful coffee zing to it. Rather than using Wilton fondant which I personally find to be completely awful tasting, I finally took a trip to this amazing cake depot in Manhattan, NY Cake & Bake, and bought their chocolate and white fondant. 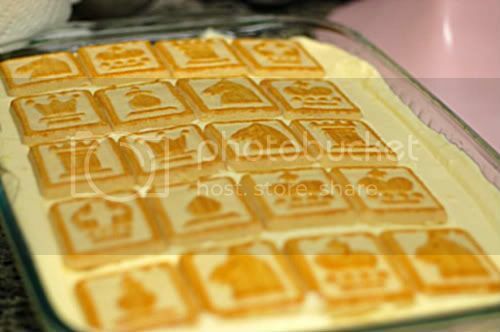 This fondant tasted amazing and made the cake so much better! It was even easier to work with. Perhaps I could have chosen a different color scheme being that brown, yellow, and white are nothing to write home about, but it was late and I was trying to avoid using dark food coloring due to the fact that I was out of plastic gloves. I finally figured out how to create the fondant rope around the bottom. The flowers were fun to make and had I had more time, I would have detailed them further. The entire cake is covered in chocolate fondant which I found to be softer than the white. What do ya'll think? I need feedback! 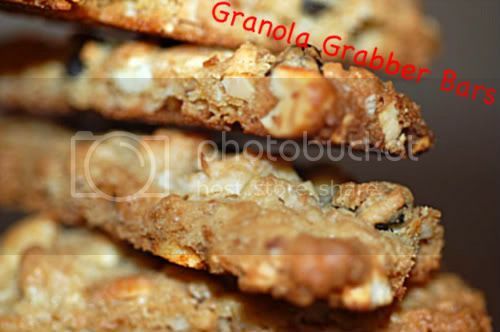 This week's Tuesday's With Dorie recipe was chosen by Michelle of Bad Girl Baking and she selected Granola Grabbers. 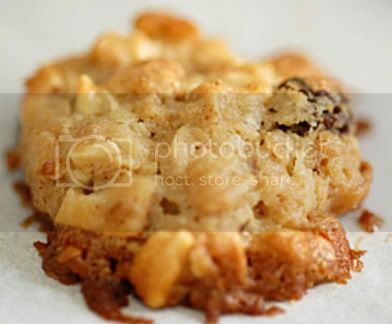 This cookie is made up of butter, sugar, raisins, granola, wheat germ, almonds, and coconut. Sounds good, huh? The only minor adjustment I made to this recipe was that I omitted the wheat germ as I didn't have any in the apartment. I didn't think it would be that detrimental to the recipe so I carried on without it. 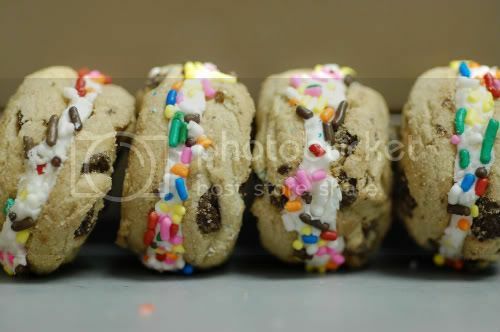 These cookies have a super crunchy exterior with a sweet center and definitely satisfied my sweet tooth this weekend. I had Vanilla Crunch granola lying around that I knew would be perfect. The extra burst of vanilla and coconut together was divinely delicious. I thought that since granola was involved that granola bars were in order. I used 1/2 the batter to create cookies and the other half to create bars. Everyone at work loved these. This recipe is probably something I wouldn't make again, because for the amount of butter used, I would have preferred to waste my calories on something like cheesecake! Check out the TWD blogroll for the other TWD bakers! This was the best thing I've ever made/tasted to date. It's embarrassingly easy and has the most unbelievable taste and texture. With that said, there are no excuses not to make this. Paula Deen, if your listening (or reading), I got nothin but love for ya. Make this immediately and you're life will never be the same. 'Nuff said. I hosted a dinner party on Friday that featured a Soul food/Southern themed menu. Think: fried chicken, baked beans, corn souffle, mac-n-cheese, and meatloaf. 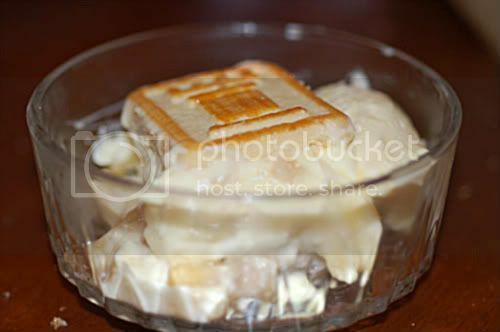 Anyway, one of the many desserts I made was Banana Cream pie. 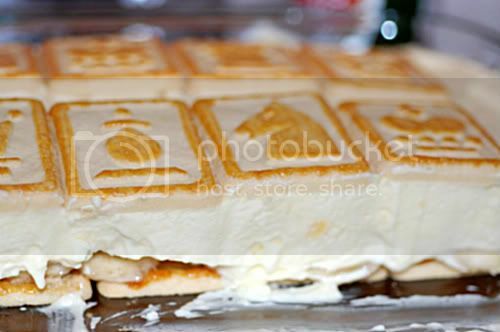 I've always wanted to make this pie but never got around to it. I used the Chocolate Chip Banana Cream pie recipe from one of my new favorite cookbooks, "The Essential Chocolate Chip Cookbook" by Elinor Klivans. 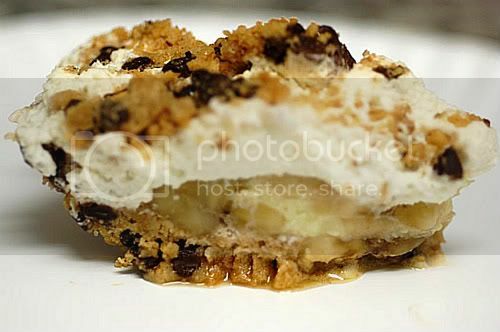 The graham cracker crust is filled with mini chocolate chips and the banana filling and whipped cream were a perfect compliment to one another. My favorite part of this pie is the top. 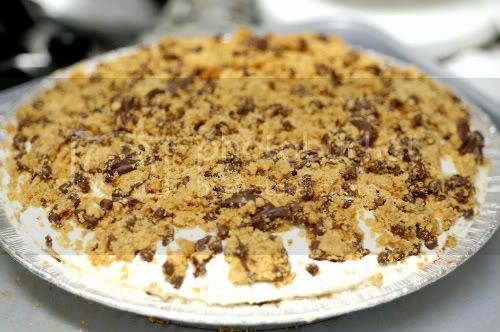 While making the graham cracker crust, you set aside 2 cups of crust to be used as a crunchy topping. You do this by shaping the remaining crust into an 8 inch circle which is then baked on a cookie sheet for 6-7 minutes. 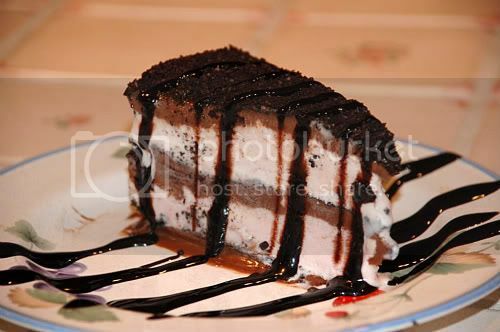 This cake is super super super rich and only a thin sliver is necessary to satisfy a chocoholic. 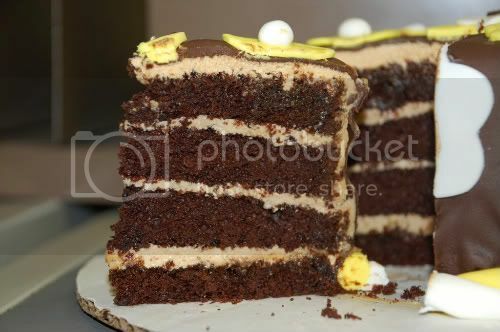 The layers are made up of a chocolate sour cream cake with a peanut butter cream frosting used to fill the top, sides, and in between layers. 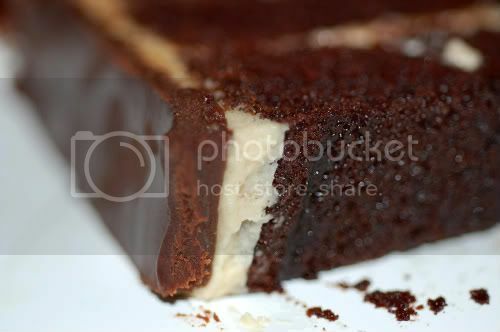 A peanut butter chocolate ganache is then poured over the entire cake. The book suggests you pour the ganache on top and then carefully spill it over the edges to create a thick drizzle look along the sides. 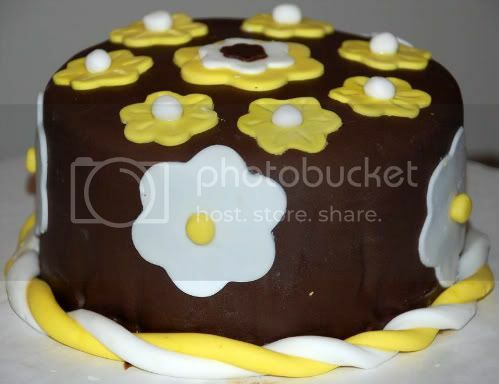 Instead, I covered my entire cake evenly with the ganache and piped rosettes around the rim. I enjoyed this cake the best while cold; straight out of the fridge. As I mentioned in an earlier post this week, my Aunt asked me to make all the desserts for my cousin's baby-naming reception last week. 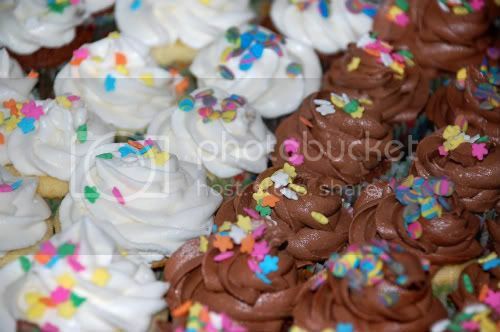 Since the guest list extended to 50 plus people I knew for sure that I wanted to make close to 1 zillion mini cupcakes. I used Billy's Vanilla Vanilla and Billy's Chocolate recipe for the cakes and interchanged Billy's Vanilla and Chocolate buttercreams. 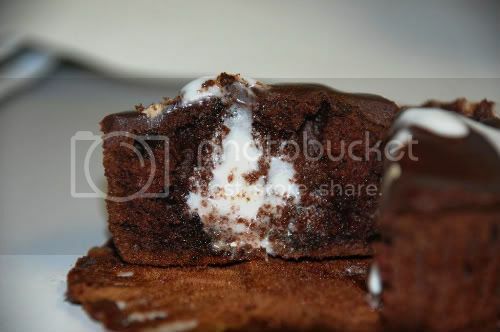 (For the Vanilla recipe, click the links; for chocolate recipe, see below). 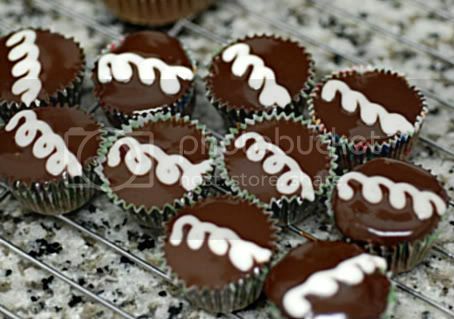 It got so out of hand with the amounts of mini's taking over my kitchen that at the end I decided to make king size cuppies just to get rid of the batter! 6 ounces unsweetened chocolate (chocolate should be melted, then cooled for approximately 15 minutes before being added). 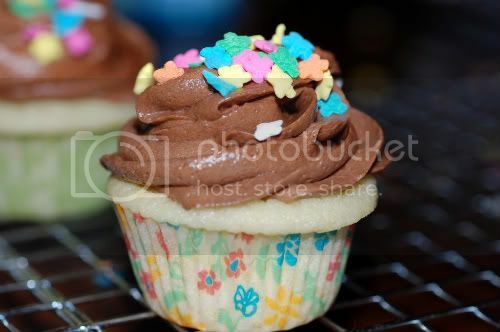 On low speed of a hand or stand mixer, mix until fully incorporated; no confectioners' sugar should be visible. Mixture should be smooth and medium brown in color. 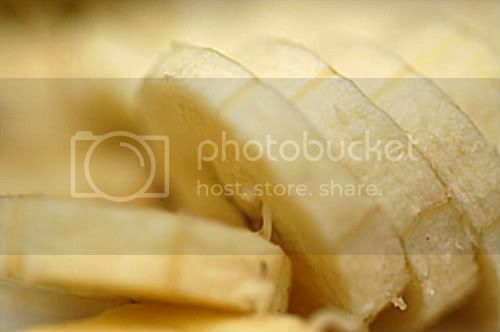 If you like banana-packed baked goods then you will most certainly like these. I had several left over bananas from when I made the black and white banana loaf and thought these bars would be a perfect way to get rid of them. I got this recipe from allrecipes and the reviews, once again, proved to be dead on. There's nothing like selecting a recipe based on comments from random people all over the world! I used the left over cream cheese icing from the red velvet cake below to top the bars rather than the suggested frosting recipe. This was a simple delicious recipe definitely worth trying. In a large bowl, cream together the shortening and sugar until smooth. Stir in the milk and 1 teaspoon vanilla. Combine the flour, baking soda and 1/2 teaspoon salt; stir into the sugar mixture. Mix in 1 banana, 1 teaspoon lemon juice and walnuts. Spread evenly into the prepared pan. Bake for 25 to 30 minutes in the preheated oven, until a toothpick inserted into the center comes out clean. Let bars cool in the pan on a wire rack. 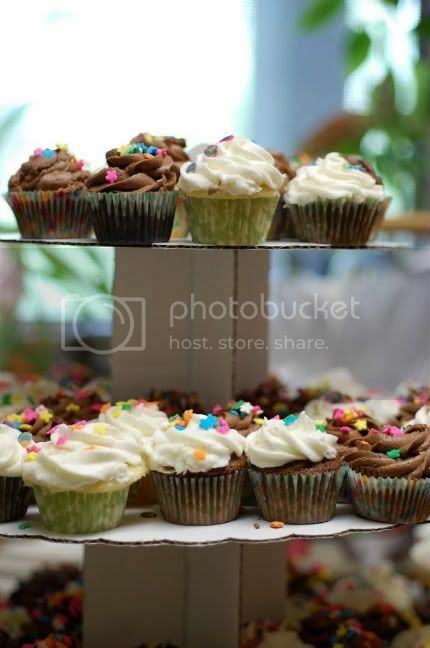 To make the frosting: In a medium bowl, mix together the melted butter, 1 teaspoon vanilla, confectioners' sugar, 1/2 banana, 1/2 teaspoon of salt and 1/4 teaspoon lemon juice using an electric mixer. Beat until smooth. Spread over cooled bars and then cut into squares. I had my little cousin's baby-naming ceremony this past weekend and my Aunt kindly asked if I would cater the dessert portion of the afternoon. Of course I agreed and got to work. 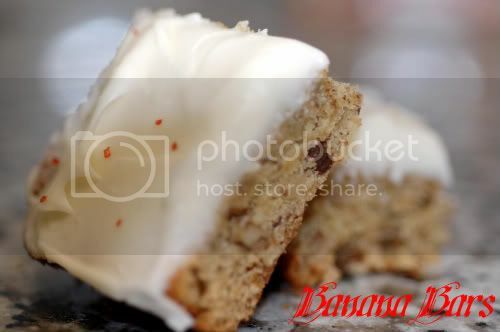 I decided on a Red Velvet cake, banana bars, and mini cupcakes (more posts to follow). 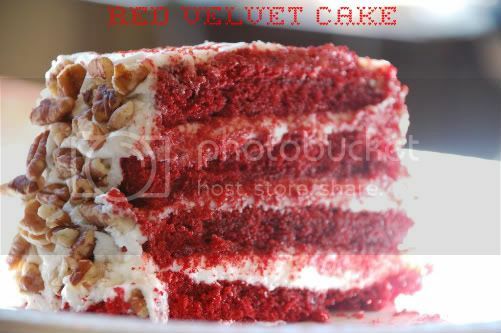 This was the best Red Velvet cake I've ever made. 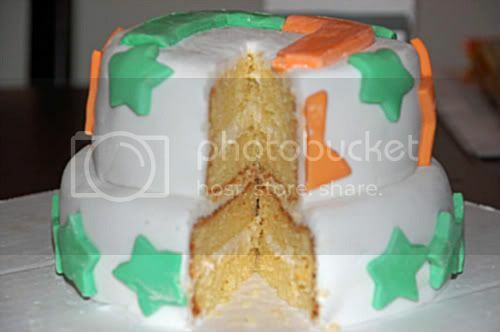 The cake was moist, rich, and so delicious. I used the same recipe as I did for my fondant cake, however, instead of using the book's recipe for cream cheese icing, I reverted back to the oh-so-handy allrecipes for suggestions. I made the most highly rated cream cheese frosting and boy was it good. 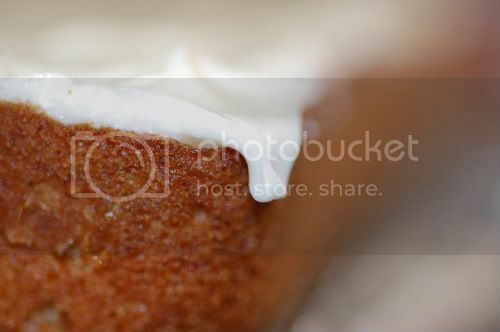 This is officially my go-to cream cheese icing for carrot cakes, red velvets, etc. You can find the recipe here. 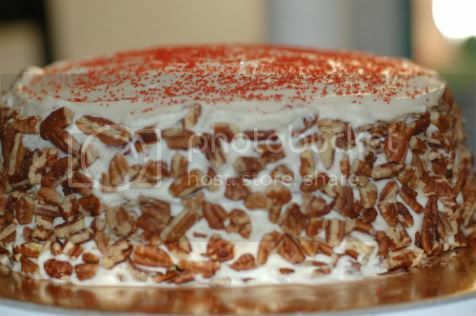 I garnished the edges with chopped pecans for some extra crunch. I will be making this again, for sure! I have to make this quick as I'm out of town in Los Angeles! This week's TWD recipe was chosen by Ashlee of A Year In The Kitchen. Rather than using a big loaf pan, I made muffins and 2 mini loaves. I found these awesome cinnamon chips at the Farmer's Market here and sprinkled them on top of the muffins. Let's call these cinna-banana-chocolate muffins! These were so good! Check out the TWD website for all the other great loaves! Cake and treadmills. What's the correlation, u ask? 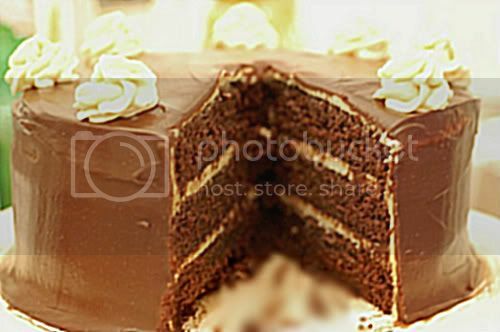 What's better than eating a monstrous piece of cake while simultaneously running on the treadmill to burn those calories? Well, my friend Jana made it happen. Below is proof!